At Sunscape we take pride in offering tailor made vacations to allow individuals a unique sailing holiday experience by chartering a yacht with skipper or sailing independently on bareboat charter. Take a yacht only option or have Sunscape arrange the flights and airport transfers for you and your crew. Below you can find a selection of yachts for each sailing destination, hand-picked by Sunscape, or alternatively use 'Quick Yacht Search' to choose from our extensive selection of yachts in each of our offered sailing destinations. 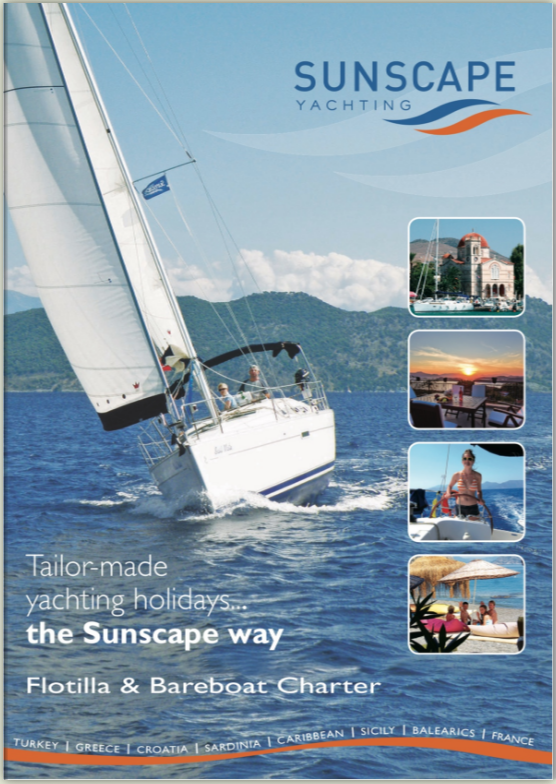 In Turkey Sunscape have teamed up with partners Yildiz Yachting to manage a fleet of modern Beneteau and Jeanneau yachts. We are able to provide selected other Hanse and Bavaria yachts from our network of local yachting partners for bareboat charter. We know the country well and can advise you on all aspects of cruising Turkey’s wonderful southern coast and tailor a holiday to suite your specific requirements. Take the yacht only option or have Sunscape provide your flights and transfers in Turkey for you and your sailing party. Working closely with our overseas yacht partners we are delighted to offer a very comprehensive selection of yachts for independent bareboat charter in Croatia. Yacht bases have been chosen to offer the widest possible cruising options, from Pula in the northern Adriatic to Dubrovnik in the south. Select a yacht that suits your requirements, investigate your travel options or have Sunscape tailor a package to include UK departing flights the yacht charter and local transfers. Bareboat charter in Sicily with varied wind conditions around the island provide an ideal scenario for all levels of sailing experience and our team would be happy to help you choose the right sailing area for you. With its pleasant sunny climate, friendly locals and well run marinas Sicily is a must visit destination. Yachts are available for charter from two bases: Palermo, the island’s capital and Portorosa on the North-east corner of the island.